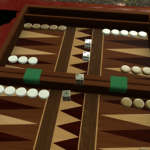 Games that offer high levels of challenge and tight gameplay are sometimes a bit of an oddity- it’s difficult to balance a game to the point where it’s difficult, but still fair; rewarding, yet not easily cheesed. 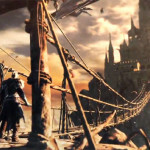 From Software has created difficult, but oftentimes fair games in Demon’s Souls, Dark Souls, Bloodborne, and the like, with which Sekiro: Shadows Die Twice shares a good number of mechanics and other features with. So is Sekiro another successful entry in From Software’s hallmark fashion, or is this game just a shadow of From’s capabilities as a developer? Let’s find out. 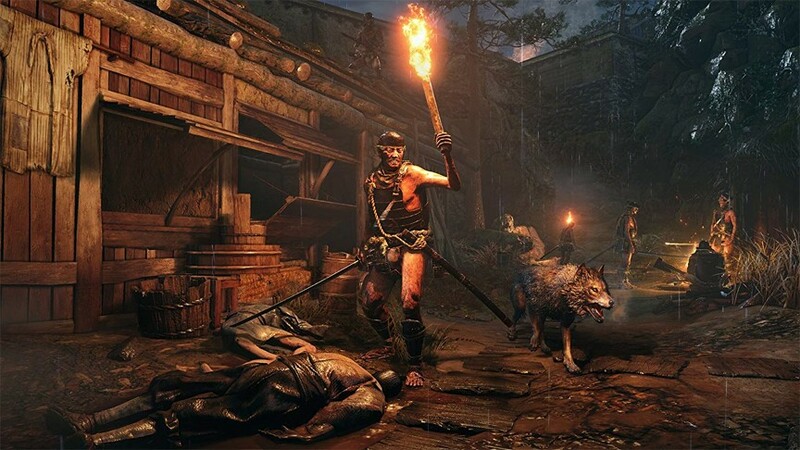 In Sekiro: Shadows Die Twice, you play as a broken shinobi, commonly referred to as Wolf. A shinobi with no master has no purpose, and Sekiro begins with the Wolf having lost his master to events preceding the start of the game. As he lays at the bottom of a well, dying and giving up hope, a mysterious letter reaches the Wolf and informs him that his master lives – so you take control of a badly injured character and attempt a rescue. Looking for a challenging and rewarding adventure? Pick up a copy of Sekiro: Shadows Die Twice from Amazon today! By the end of the prologue, players will be escaping with the shinobi’s young master, only for the Wolf to lose his arm and life in the escape attempt. 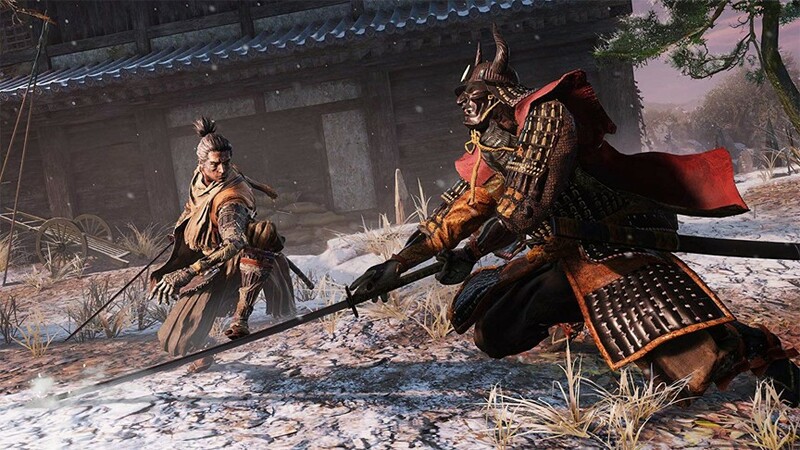 In the world of Sekiro, however, death is not the end, and you quickly discover that the Wolf now has the power to resurrect should he take lethal damage. Thus begins the Wolf’s, at times, nonsensical tale of rescuing his young master and either securing or destroying the bloodline that allows him to revive again and again. The story is extremely folksy Japanese, but actually quite intriguing in the standard Miyazaki ways with plenty of lore to discover along the way. This being a From Software title, revive and die again is the name of the game. 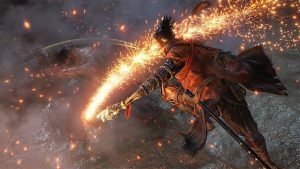 Sekiro is a difficult game- combat mechanics are relatively tight (there are some snags, more on that later), and tough boss battles will challenge your reflexes, critical thinking, and snap decision-making skills. 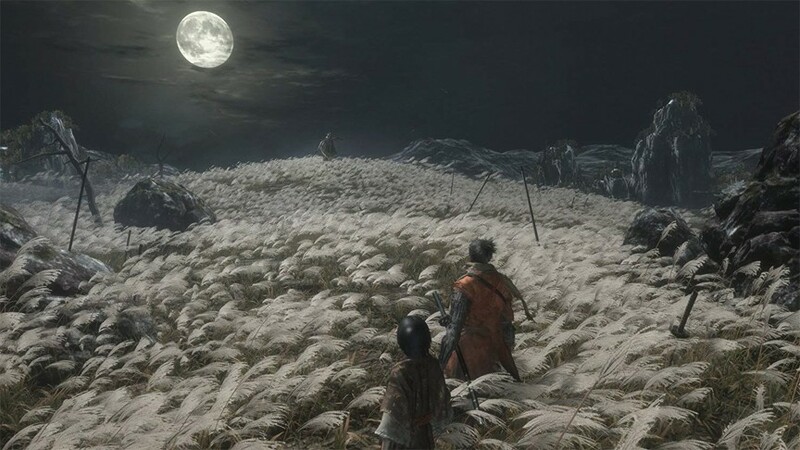 So, for those who have played Souls games in the past, a lot of how Sekiro plays should be familiar- you wander environments, exploring, collecting items, and either beating or bypassing combat encounters as you go. Sekiro introduces limited stealth gameplay, in that you can sneak around and commit a deathblow (a one hit kill) on unaware enemies. Wolf is actually powerful enough that you’re not actively punished for ignoring stealth, though some brief portions of the game will force you to use it– there’s a section with a giant white snake in a chasm that comes to mind. 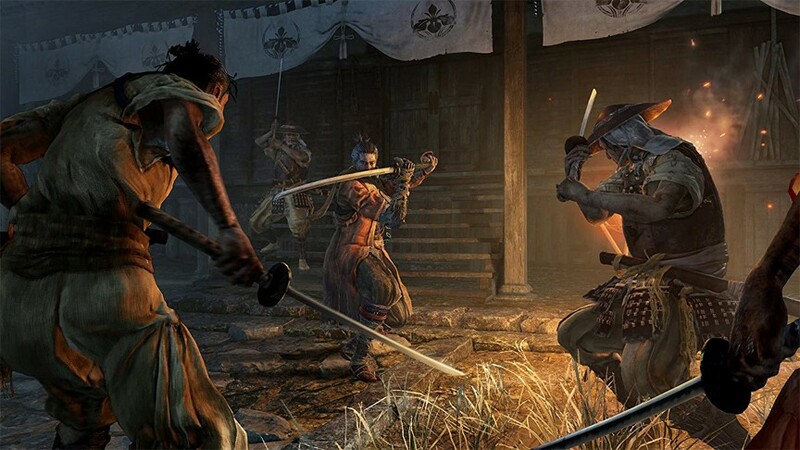 The combat is the largest draw for Sekiro, and where several of the differences lay that separate this from the Souls games, though the stealth, in a very Tenchu-like approach, allows you a little more flexibility while making your way through the environments. Both enemies and players have vitality, or health meters, as well as a posture gauge. If an enemy takes too much damage or has their attacks deflected too often, their posture gauge will fill until they fall over, completely vulnerable to powerful deathblow techniques that will insta-kill them regardless of their remaining health. Vitality and posture are intrinsically linked- the lower an enemy’s vitality, the more posture damage they take (this applies to players as well, so keep your health up), and posture recovers over time but recovers more slowly the lower your health is, as well. Watching an enemy’s moves and getting in hits where you can at the beginning of a combat encounter is important, as that will whittle down their health and maybe deal minor posture damage. Once the opponent has had their health depleted a bit, you can start deflecting attacks, which is done by pressing the block button just before an attack hits you- this deals no damage, but kills your opponent’s posture like nothing else. If you’re unsure of the timing for a deflect, you can just block instead, though doing so for extended periods of time will result in your posture gauge filling which could easily lead to a death. Enemies may have attacks you can’t block- large sweeps that necessitate you jump over them (which allows you to press jump in mid-air to kick them in the face for major posture damage), or thrust attacks that will break your guard, among other things. 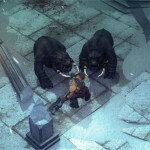 At the beginning of the game, thrusts should be dodged, sweeps should be jumped over, and many other attacks can just be deflected (many thrusts and sweeps can also be deflected as well, but it depends on the enemy). 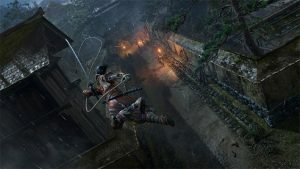 There is a skill system in Sekiro that lets you spend skill points to learn new techniques, like the absurdly powerful Mikiri that lets you dodge toward incoming thrusts to counterattack for major posture damage (it’s the technique you see in old martial arts movies where the protagonist steps on the enemy’s spear- it’s great). Skills you learn can range from combat arts like Ichimonji that lets you deal heavy posture damage and recover your own posture simply by using it (once you get this art, you probably shouldn’t have your posture broken until you reach one of the final bosses of the game), or even skills that let you deathblow enemies who try to jump over or away from you. These skills, while not necessary in order for you to complete the game, can completely revolutionize how you approach each combat encounter. On top of the skills system, there is also a limited upgrade system. Tons of mini-bosses litter the land, and many of them will provide skill scrolls (saving you skill points and giving you the skill for free in some cases), prayer beads which can be used to upgrade your vitality and posture, and memories from bosses which can upgrade your attack power so you deal more damage to enemies. Also, Wolf had his arm cut off in the prologue and is fitted with a prosthetic arm that can utilize a variety of shinobi tools- shurikens to knock down aerial foes, firecrackers to stun enemies and scare beasts, an umbrella to protect you from ranged attacks (and also lets you deflect attacks with a more generous timing window than the standard deflect), and many more. Each of these can be upgraded to give you different versions- a personal favorite is the purple umbrella that negates damage from apparition type enemies, because the Terror status effect doesn’t seem so bad until you encounter a Shichimen enemy with no items that reduce Terror buildup. Status effects in Sekiro are very similar to how they’re applied in the Souls games- dealing damage with a tool that deals that type of status will inflict the ailment once enough has been applied. 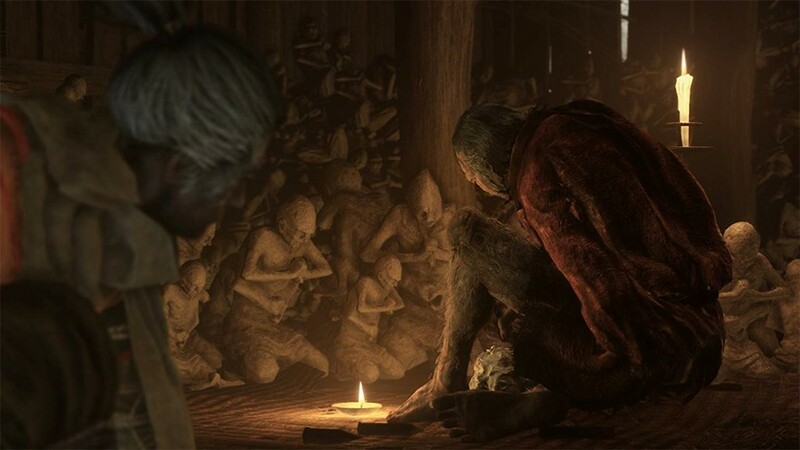 The same goes for the player- you can trudge through poison bogs (it’s a From Software game, of course Sekiro has a poison bog) until the poison meter is 99 percent full, but so long as you get out at that point, the Poison status won’t be inflicted and you won’t lose health. Burning is applied the same, as is Terror. In Terror’s case, however, if the meter fills, it instantly kills you. Each of these ailments have consumable and reusable items that reduce the buildup of a status effect, but playing blind can make it difficult to find them before encountering the enemies who inflict them- for example, you will likely just stumble across a Headless at the beginning of the game with none of these items in sight. Thankfully, for most of the mini-boss style enemies in the game, you can simply avoid them until you have what you need- though it may kill you if you’re caught off guard. Death hurts in that you permanently lose 50 percent of your money and any progress made toward your next skill point, but you can resurrect and run away and so long as you reach a checkpoint idol statue, your resurrection point will be restored. Resurrecting prevents you from losing your money or skill experience, so you should be using it often throughout your playthroughs. Players can acquire two more resurrection points as they progress: Each resurrection gives you 50 percent of your health back, though if you use one you can’t use Resurrection again until you’ve either performed a deathblow or leave combat (which makes sense, because otherwise it would be free health you could burn at will). 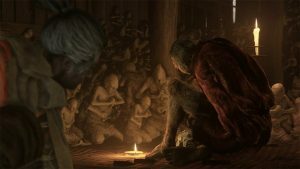 There is one interesting mechanic in the game that punishes you for dying too much by preventing you from completing side quests until its cured, but the items that let you heal the NPCs are quite prevalent so the mechanic was more interesting for its lore than it is for any contribution to gameplay or progression. 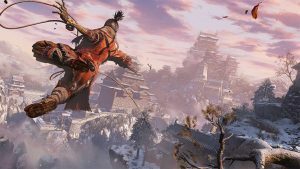 There are some areas where Sekiro: Shadows Die Twice falters, though. 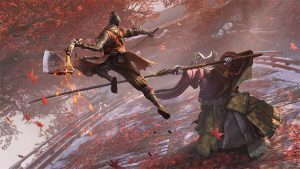 The game still seems to have no improvements to the camera system used in From’s games as far back as Demon’s Souls, and Sekiro exacerbates a lot of the problems inherent with the camera, especially in the capacity of lock-on. Cornering an enemy and them doing a thrust attack past you, that you missed by dodging behind them, can result in the camera unlocking from the target, attempt to swing to Wolf’s back but can’t determine how to do so because of the wall, and cause you to lose your attack of opportunity or even get hit/killed yourself because you couldn’t see what was happening. Fast moving enemies are also horrendous for this, as an enemy jumping over your character can cause the camera lock-on to break while the enemy is in mid-air above you, leaving you looking at the sky while the enemy now stabs you in the back because you can’t see. This behavior doesn’t happen every single time, though: Maybe once in every 7-8 times, which definitely leads one to believe it’s unintentional behavior that can turn what would have been a close victory into a frustrating defeat. 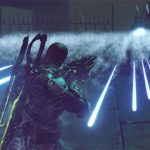 These camera issues have been grumbled upon by players since 2011 if not earlier, so it’s somewhat disappointing that in a game with such an emphasis on melee combat- fighting the camera, itself, is never, ever fun. The audio in Sekiro is fitting, if not familiar: Specific sound effects will sound very similar to those in other From Software games, and the familiarity born by this is actually somewhat comforting- similar to the Super Mushroom sound from Super Mario, these sound effects may well become iconic in their own right. 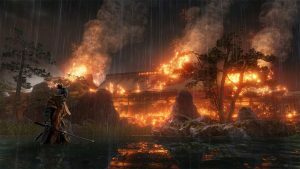 As for music, beyond a few specific tracks that gradually become phenomenal like Lady Butterfly’s track, much of the soundtrack for Sekiro is forgettable to the point where it’s difficult to recall any particular tracks even after 40-some hours of play. Overall, Sekiro is a phenomenal game for those gamers who enjoy a challenge. The environments are very well designed for the most part, though there are a few outliers that will make it seem like you’ve tread this ground before. Sometimes the frame rate will randomly dip (especially common in early areas, oddly enough, on a standard PS4), but the stutters that occur are very similar to the ones present in Dark Souls 3 and Bloodborne- go figure. 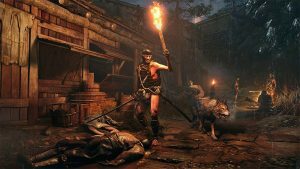 Grappling and sneaking around enemies to find the perfect approach to deathblow targets is exhilarating, and will be something even Tenchu fans enjoy, but that said, this game isn’t for everybody. If you really appreciate a challenge and are patient to practice difficult fights until you succeed, then Sekiro: Shadows Die Twice would be a perfect 5/5 game and may well be one of your favorite games of 2019 (it is currently looking like the first game I will Platinum in 2019). If you lack patience or don’t enjoy repeatedly throwing yourself at a brick wall until you eventually figure out the patterns and succeed, Sekiro will do nothing but frustrate you during skill check fights like Genichiro or the Sword Saint, though they are excellent challenges and extremely rousing fights, especially when you finally succeed.